Say hello to a hassle-free period. 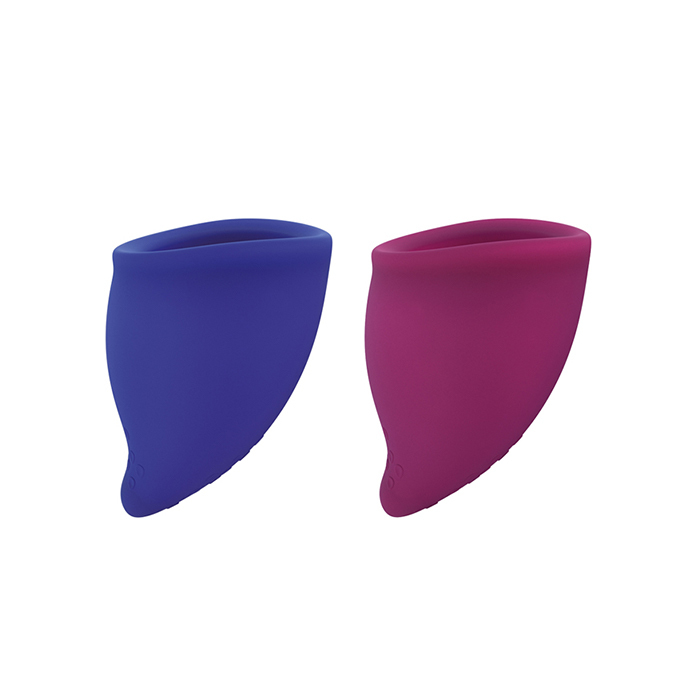 The best friend of heavy bleeders is the FUN CUP SIZE B, the large menstrual cup. The silicone cup has a form-fitting, comfy shape, preserves your sexual health, costs a fraction of what you spend on tampons and pads every year, and can be reused over and over again, for a seriously eco-friendly cycle. Your heaviest days just got a lot easier. The FUN CUP SIZE B holds six times more than a tampon. It’s a game-changer for busy work-shifts, road trips, and not losing your spot up front at concerts. SIZE B is designed with a firm tip for easy adjustment, a firm rim for secure placement, and a soft middle that forms to your body’s curves without any uncomfortable pressure. Its size also makes it perfect for someone with a longer vaginal canal, who doesn’t want to have to reach all the way in every time they want to change their cup. Got places to be? Put a cup into your antimicrobial travel bag so you’ll be ready if your period surprises you.